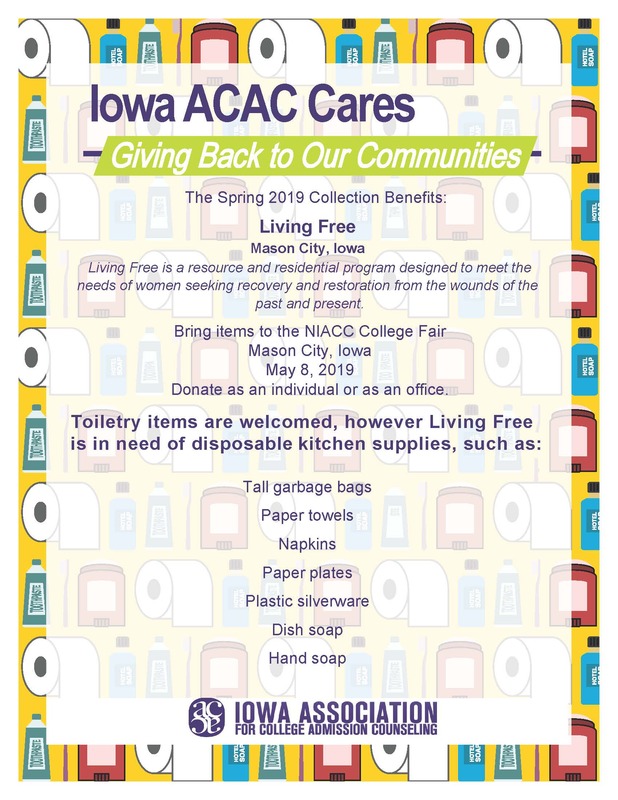 This spring, Iowa ACAC Cares benefits Living Free, a faith-based resource program for women and girls. In 2016, three women came together to form the program that focuses on Resources, Residential and Reaching Out. They are committed to a non-judgmental, supportive environment that assist women who are working through everything from abuse, addiction, post-incarceration, depression and more. They provide avenues of support, encouragement, education to help them develop new skills and tools for empowerment, so they can make the changes they desire. Through our simple collection of basic disposable kitchen supplies, Iowa ACAC can be an avenue of change for these fellow Iowans. Bring your office together to collect items - make it a contest, make it fun, and help these ladies take the stop toward new beginnings. Act as an individual, wanting to make a change for your own personal wellness and development. Not attending the fair, but want to help? 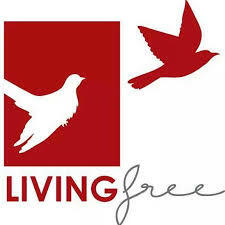 Visit their web page www.livingfreeiowa.com/. However, you do it, bring your items to the NIACC College Fair in Mason City on May 8. Representatives from Living Free will be there to collect and to answer questions. I'm sure they'll be happy to take monetary donations, too. Check out their web page for more information on retreats, their newsletter, etc. Until you've had to battle a change like this, and the first steps to "live free," you can't fully understand the magnitude. Every little bit helps. Thank you to Iowa ACAC Past President Karla Wymore for doing the leg work on connecting us with this program!